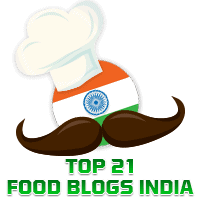 Today's Guest Post is contributed by my friend, Pratibha Rao. She sent in a recipe for Beetroot and Chickpea Kebab along with this beautiful photograph. 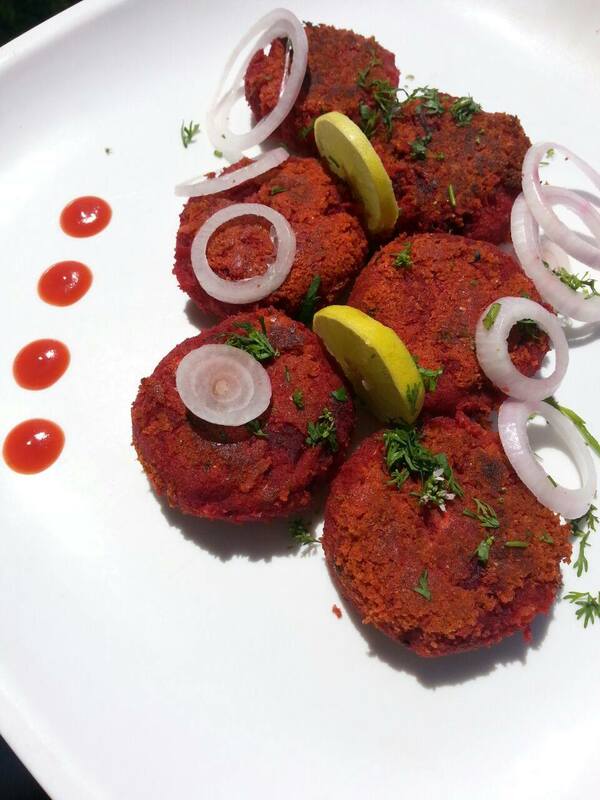 The recipe is adapted from "Chukandar Aur Chickpea Kebabs" by Master Chef Sanjeev Kapoor. Soak the chickpeas overnight and cook them the next day. Allow them to cool and keep aside. Transfer this to a bowl and add the boiled and grated beetroot, finely chopped ginger, red chilli powder, pepper powder, finely chopped onion, Kitchen King Masala (or equivalent), and salt to taste. Mix well to form a mixture. Divide this mixture and roll into 12 balls of roughly the same size. Flatten them slightly. Sprinkle chaat masala on them. Garnish the kebabs with finely chopped coriander and lemon wedges. Serve immediately with tomato ketchup or chutney of your choice.